August’s RPG Blog Carnival was all about Magic. What’s awesome about magic? Why do we love it so? How do we bring more of the impossible to our table? Magic! 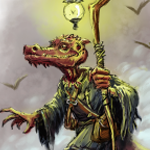 We at the Kobold Blog throw a series of thematic 5E magic items your way with Shades of Magic. Alan Kellogg (of Mythusmage Today) gives insights on magic and how to present it in your game: Part I and Part II. Anthony Wright (of The Temple of Ravens) contemplates his favorite magic system. Davide Quatrini digs into literature once again and creates a new 5E magic item, just for you. Furt (of The Furtive Goblin’s Burrow) discovers another paper of Roberick Bertrum Litte’s on magic. Vance (of Leicester’s Ramble) ties magic to a recent topic of great interest, the solar eclipse. Timothy Brannan (of The Other Side) presents a wonderfully detailed study on spell research. 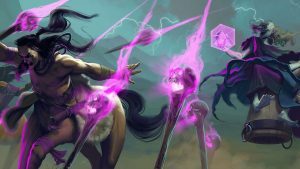 Phil Nicholls (of Tales of a GM) dives headfirst into folk magic, adding magic bundles to Gloranthan common magic. Thanks for including Tales of a GM in your prompt wrap-up of the August Carnival. My plan is to post a follow-up article tomorrow, featuring a pair of tables to randomly generate magic bundles. I will post a link here. As promised, here is my second contribution to the August Blog Carnival. Sorry to be late, but the summer holiday is such a busy time for me. Cool, thanks for the pointer!